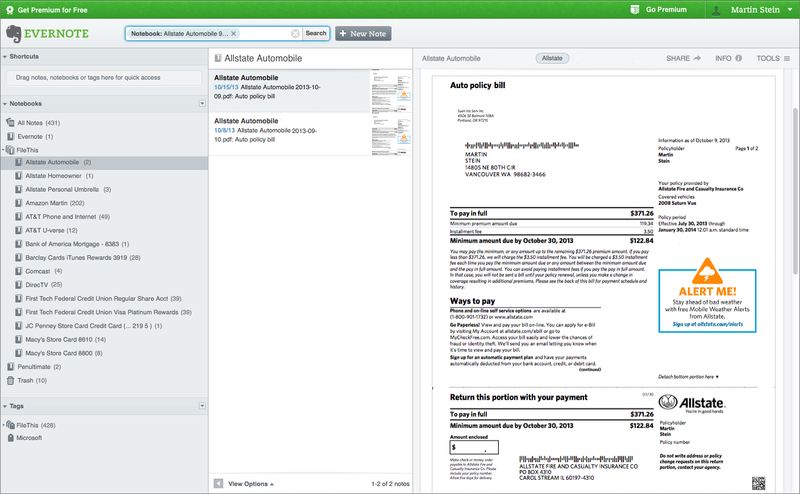 FileThis automatically delivers all your online statements as searchable PDF files to your Evernote account, organized in account-specific notebooks under a single Evernote Notebook Stack. 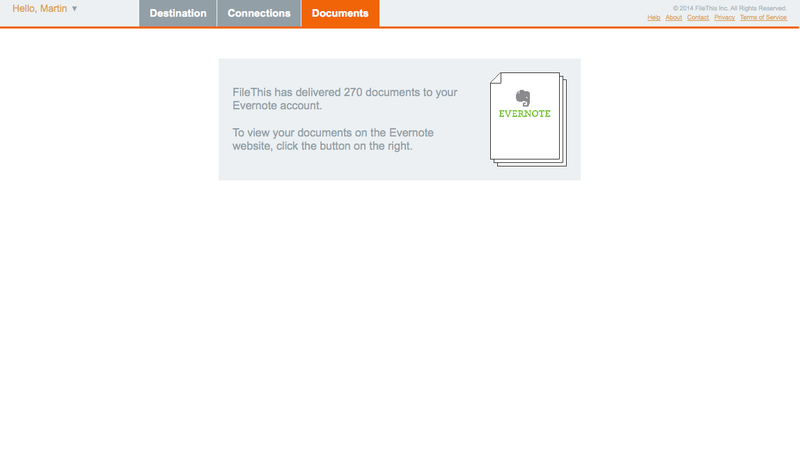 FileThis also fetches all the past documents available online, so you can conveniently have access to all of your statements anywhere you have Evernote installed. 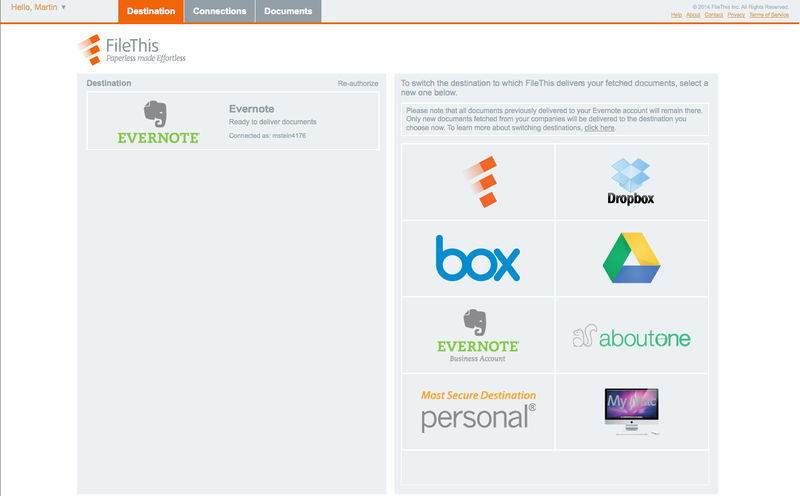 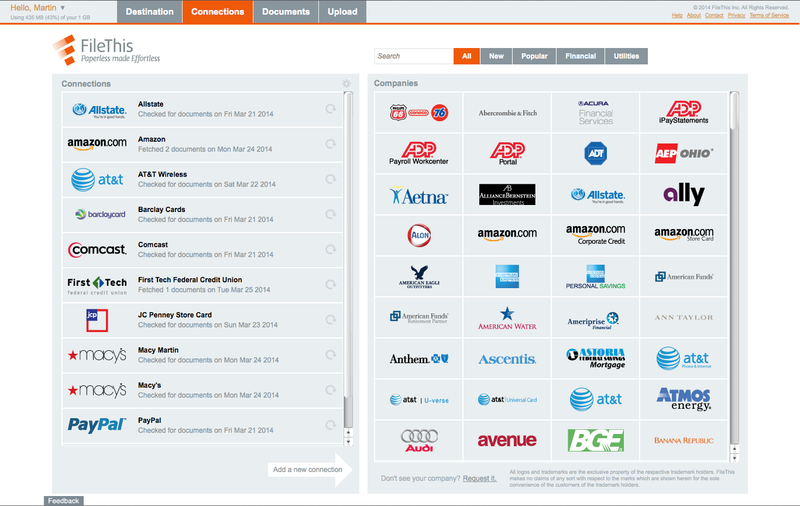 - FileThis utilizes bank-level security practices, including encryption, key rotation, auditing, logging, and back-ups, and is backed by the Verisign security seal and the McAfee Secure badge.